Proven Performance for Off-Highway and Commercial Vehicle Applications. When you see the Spicer® and Italcardano™ names, you know you are buying the highest quality product available. Spicer Wing Series® u-joints are no exception. As with any genuine Spicer part, our superior quality means you get longer life and less downtime. Complete interchangeability with existing parts provides total product compatibility with no change in part numbers. Proprietary Techniques Result in Superior Off-Highway Universal Joints. 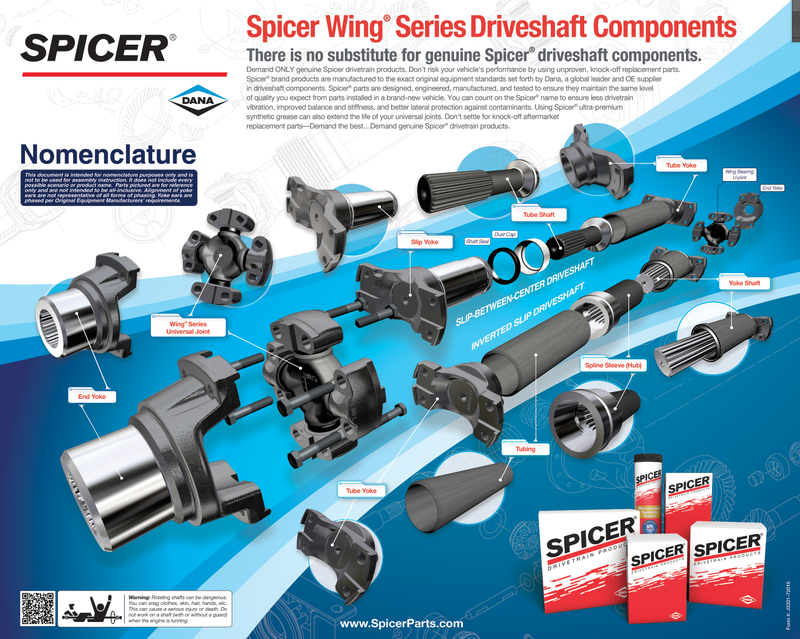 Download the brochures on the right to learn more about Spicer Wing Series® u-joints for off-highway vehicles, and locate a Spicer Off-Highway Service Center near you.